The nova war has begun to spread as the Emissaries wage a fierce and reckless campaign, encroaching on the area of space occupied by humanity and forcing the Shoal into a desperate retreat. While Dakota goes in search of the entity responsible for creating the Maker caches, Corso, left in charge of a fleet of human-piloted Magi ships, finds his authority crumbling in the face of assassination attempts and politically-motivated sabotage. If any hope exists at all, it lies in an abandoned asteroid a thousand light-years beyond the Consortium’s borders, and with Ty Whitecloud, the only man alive with the skill to decipher the messages left behind by an ancient race of star travellers. Unfortunately Whitecloud is locked in a prison cell aboard a dying coreship adrift in space, awaiting execution for war crimes against Corso’s own people. But if humanity has any hope of survival, Corso is going to have to find some way to keep him alive – and that’s only if Dakota doesn’t kill him first. If the previous two books were pretty large in terms of scale and scope, well, the series just got bigger with this one. This time Corso and Dakota are on the trail of the Mos Hadroch, some type of weapon that should stop the nova war between the Shoal and the Emissaries. And to get hold of it, they need one of the few humans who know anything at all about the Mos Hadroch, namely Ty Whitecloud. What’s so special about him, you wonder? Like Corso, he’s a scientist, or perhaps more of an anthropologist in this case. And he has heard of the Mos Hadroch, which immediately makes him invaluable. He’s also part of the reason Dakota ended up killing Corso’s people on behalf of the Uchidans… which puts him on both their hit lists. Enter suspicion and tension. I liked the way Gibson brought Whitecloud into the story and enabled me to get to know him. He had my sympathy from the beginning – even knowing his history as a Uchidan. Trader once again features – but perhaps not quite so much as in the previous two stories. Or perhaps even more than one realises. I will admit to being a little disappointed that one of the main devices Gibson used in this story was a repeat of that used in Stealing Light. Nevertheless, he did up the ante on this one, and as a whole the story was very satisfying. This book is the complete page-turner. I find it uncanny how, with almost clockwork regularity, I can gulp down eight pages at a time without barely noticing, then discover on checking that I am eight pages on from where I last took note of the page number. This is one of the things I really love about Gibson’s books: I devour them. And it’s a testament to how well he writes, allowing the story to flow without being hampered by words and extraneous images. 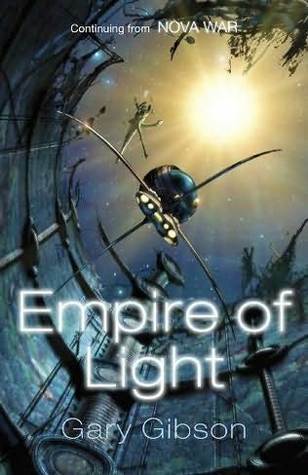 A must read for those who like hard scifi with nasty aliens. Over the last year or so I (Laurel) downloaded several short stories by Stephen Huff from amazon UK. Huff writes science fiction shorts that I would put on a par with Asimov’s in terms of their exploration of concepts, whether social or scientific. Considering the variety of settings, and Huff’s application of topics to each setting, I am impressed by Huff’s imagination and the way in which he tells his stories. It should be noted that these are generally not pleasant stories. Most have a dark side to them; perhaps an examination of the darker side of the human mind. For convenience, I’m giving these all a 4-star rating, as they are good. Judgment on Rylox 5 – It’s a terrifying future war on a far away planet unspeakably hostile to human life. While the slaughter is wholesale and nearly complete, the soldiers of this combat will find they have more to fear from their own kind than the enemy. Survive as best you can, but be careful what you say. The Wrong Side Of Backwards – He recently returned from an uneventful patrol in near space of the solar system. Though he recalls nothing odd about the voyage, something has gone terribly wrong. Standing before a mirror in his home, he realizes he has somehow found himself on the wrong side of backwards. Everybody knows how mirrors reflect everything backwards. Right? An insightful short story. Castaways – Having crash landed on a forgotten and hostile planet tucked away in a distant corner of the galaxy, the ragged, starving remnants of a once-promising colonizing voyage struggle to survive themselves and the harshest conditions nature can throw at them. Each future generation depends on the sacrifices of the generations gone before and a single taciturn cyborg. Lost on a far away, frozen rock. Who will stock the freezers for the coming darkfall? An insightful short story. Emerald Planet – This is a tale of reality television run amok, of daytime programming in the bloody Roman Coliseum. Survival is the game and vast wealth the reward. But what of the hapless individuals tossed together into competition? Can they retain their humanity and still do what it takes to win? Fun and games in the depths of a hostile rain forest. An insightful short story. A Friendly Visit – Mike and Ron arrive at their favorite fishing hole of an evening with plenty of bait and plenty of beer and plans to catch the usual mess of fish while exchanging vivid stories and bawdy jokes. It’s their weekend ritual. This trip, however, will be significantly different for unearthly reasons. By the end of the night, one of them will have to return home alone to explain the mysterious disappearance of the other. Two buddies swilling beer and fishing. Along came a stranger. The ultimate tall fishing tale and an insightful short story. Bridgehead – Landing in the most desolate and sparsely populated continent on Earth, these foreign invaders would capitalize on a long and agonizing winter to hide their preparations for invasion. By the arrival of spring, they would establish an undeniable bridgehead on the planet. They came from a long, long way away. All they need is a toe-hold on our planet. An insightful short story. A Paradox of Distance – It is a machine void of machinery, a probe constructed of light and energy, sent on a distant errand of discovery into the farthest reaches of the cosmos. There, it will find the beginning is the end, and it will learn that the largest and smallest of things share a common origin. Strange ponderance of space and time. An insightful short story. VOX – His wife is a nag. His life is an unfulfilling failure. He only has one thing going for him, his personal computer. When he installs a mysterious operating system that promises personal companionship, his fate takes a deadly turn, and he can no longer imagine living without his newfound love, VOX. The gift for the guy who has nothing. An insightful short story. That Last Door Standing Wide Open – In an age of genetic modification and radical experimentation, one scientist is playing with the concepts of immortality as confined within a machine. He will ultimately succeed in his quest, but he will leave that last door standing wide open and a chimera will wander through it into a strange and foreboding freedom. The monkey wears a suit complete with bow-tie and wingtips. Should he open that last door? An insightful short story. Contract K-117 – The planet teems with unwashed masses and the wealth of the top one percent is greater than the worth of the remaining ninety-nine percent, combined. This disparity of worth has reduced the vast majority of humankind to the status of commodity. A global lottery determines who dies and who lives forever. They’re rich and powerful. He’s poor and unknown. They want his organs. An insightful short story. Out-World – A special agent sent out-world to recover a woman who knows something she shouldn’t, something that could change the future of all human kind. Theirs is a race against time and the odds do not favor their success. Can he get her to safety before a powerful enemy liquidates her? A desperate mission through the depths of space. They must get out-world to survive. An insightful short story. The Boy, The Girl – In the ravaged aftermath of an apocalyptic future war, a pair of twins struggle to survive, feeding themselves with tossed-away scraps and rumors of a better place. When his sister dies a hungry, lonely death, the boy vows to learn the truth. He will brave monsters of the wasteland to find sanctuary. If it exists, at all. It’s a long way to go, but hope is the fuel to fire his heart. An insightful short story. The Violent Kind – Tired of the endless lies of youth and the unfulfilled promises of adulthood, one man decides to put reality to the ultimate test. Standing in line at a bank to make a final withdrawal with a handgun in his pocket, he remains unconcerned when a gang of criminals burst into the lobby. After all, they still believe in the lies he has long since abandoned, and he is the violent kind. He’s bound to snap, the violent kind. Sometimes goodness spoils the bad. An insightful short story. Zuzus Petals – The ZuZu is a futuristic time clipper, a spacecraft capable of zapping backward and forward in time. As it embarks on its latest combat mission, one of the crew smuggles a forbidden keepsake onboard. It’s a rose-shaped medallion given to him by his youngest daughter. After a spectacular military victory, he finds the petals missing, along with the entire population of his home world. Can he alter space and time to return his family to the present as he remembers it? The smallest things count in large amounts, given sufficient time. An insightful short story. 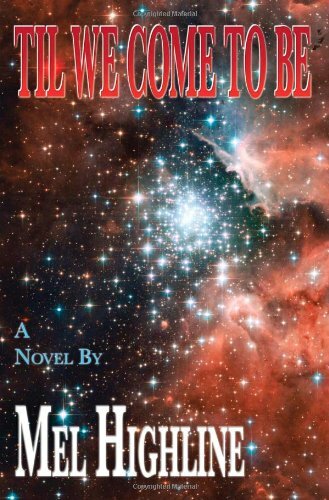 Jack Augur comes back from thirty years in the future to stop his own wedding. Although he was warned not to tamper with any other events, within minutes of meeting his younger self, he is responsible for the accidental death of the man who is to go on to invent the time machine. As they struggle together to undo the damage they’ve done and get the world back on track, mysterious beings thwart their every attempt. John David Krygelski’s second novel – Time Cursor is a roller-coaster ride of suspense, action and intrigue with an ending that will not disappoint. 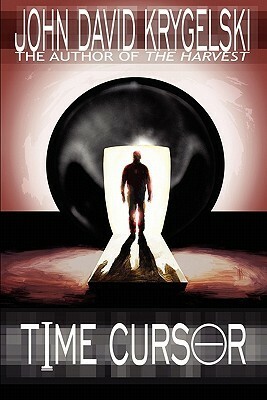 This is a complex book that explores the time travel paradox and all its implications. It follows what happens when Jack travels back in time to prevent his own wedding. While some of the technical passages are quite dry, the story itself is evocative and compelling, enabling one to almost ignore the technical bits and keep pace with the story progression. A good read if you’re interested in time travel, and the time travel paradox in particular.